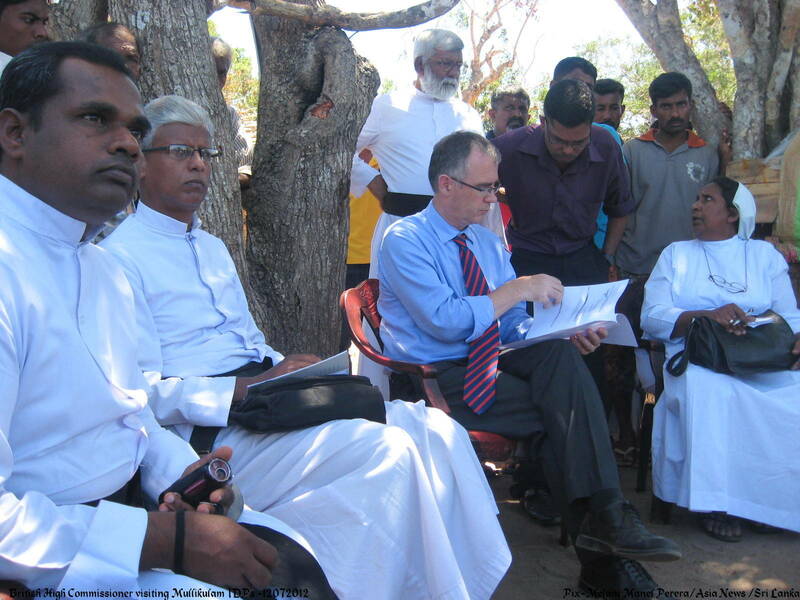 John Rankin met 200 Catholic Tamil refugees forced to live in a jungle with nothing. They had been drive out of their village more than 20 years ago during the civil war. The high commissioner plans to discuss their plight with the Sri Lanka government. 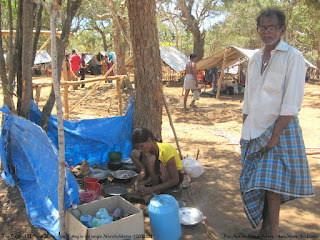 Mannar (AsiaNews) - Conditions for refugees in Mullikulam are "harsh and painful". After being expelled from their village 20 years ago, they find themselves stuck in a jungle, John Rankin, British High Commissioner to Sri Lanka said about the 200 Tamil.Yesterday, Rankin met the refuges, all 148 families, promising them that he would discuss their plight with other ambassadors and the country's government. Fr Raajanayagam, two other priests, a nun and two officials from the National Fisheries Solidarity (NAFSO) were present at the meeting. The story of these families who became internally displaced people because of 30 years of civil war is a tragic one. 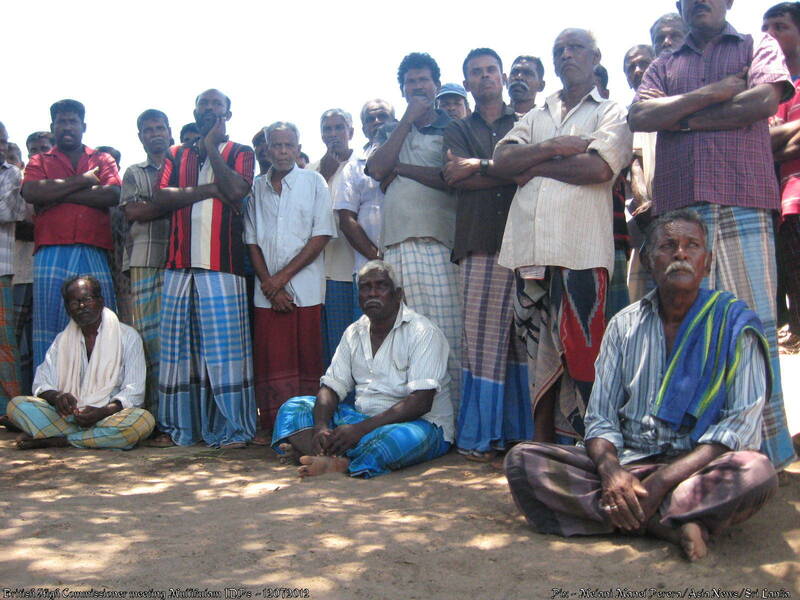 Forced to leave the village of Mullikulam for the first time in 1990, residents were never able to go back; instead, they were split among various refugee camps. In 2012, three years after the end of the civil war, they should have benefited from the government's resettlement plan. Instead, they were sent to Marichchikattu jungle with noting to start a new life: no homes, tools, tends, fishing equipment, etc. "The problem is that all our papers are in order," people told the high commissioner. "The authorities however do not allow us go back in Mullikulam. There, we lived from fishing and farming. Here we have nothing and depend on other people's charity." 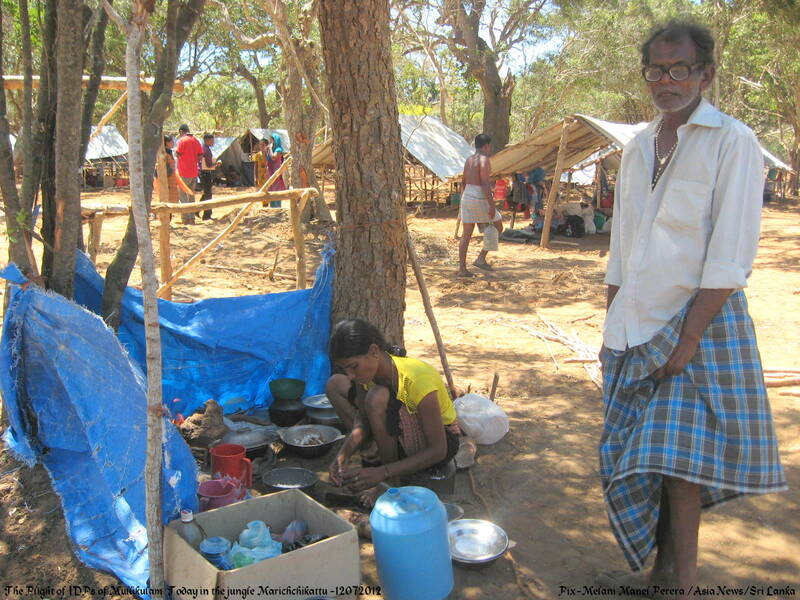 "I do not know," Fr Raajanayagam told AsiaNews, "how long these people can continue living in such a situation. Among all of them, they have two bathrooms. Drinking water is rationed by the Navy. They have to go to the nearby lake to wash themselves"
For the refugees, the reasons they cannot go home lies with the Navy, which is using their homes and properties. "What did we do wrong?" asked some. "Once we hand land and could earn a living for our families. Now, we live under the trees like beggars."